Successful Customer Experience Management (CXM) is a game-changer for retail operations and sales associates alike.CXM is designed to help your retail operation establish brand loyalty. This is especially true if your team can build relationships with their multi-channel shoppers. 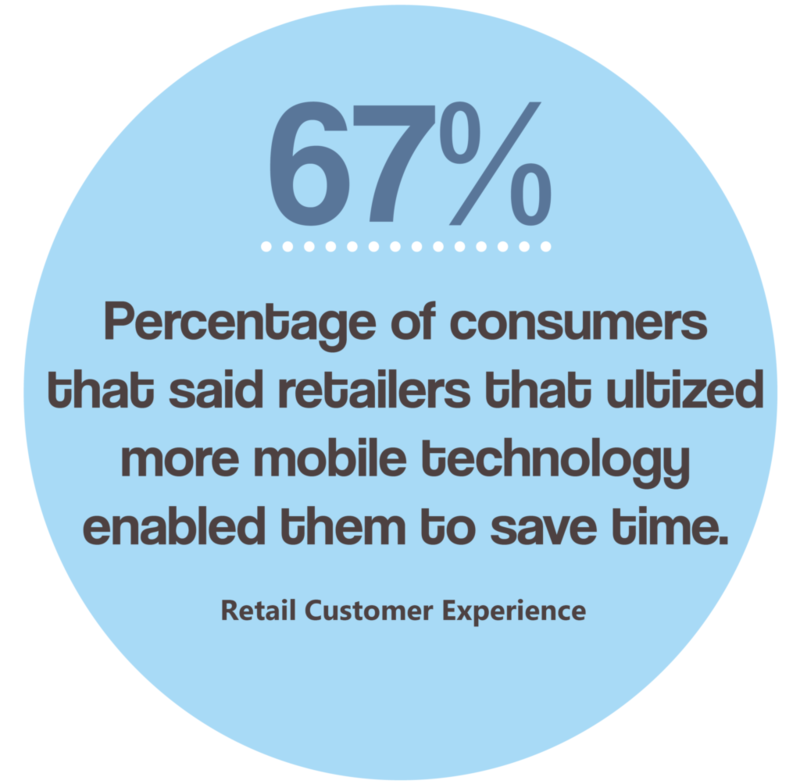 Effective in-store CXM applications are developed to allow sales associates to manage their customer relationships and experiences. Today, everyone is attached to their smartphone. Customer Experience Management applications that take a device-agnostic approach cater to the modern day sales associate. Web-based solutions cn be accecssed from any device and are developed to tailor a responsive experience based on the user’s device. Whether a person is using a mobile device or an iPad, the application adapts to intuitive technology behavior. Today 95% of Americans own a cell phone, and 77% own a smartphone. In-store customer experience management will help retailers provide the shopping experience their consumers are searching for by maintaining accurate customer and product data. Every sales associate will want CXM to empower their service capabilities. It will allow them to easily look up products, create or build upon orders, view shopping carts and check all core product details such as pricing, location, and availability. 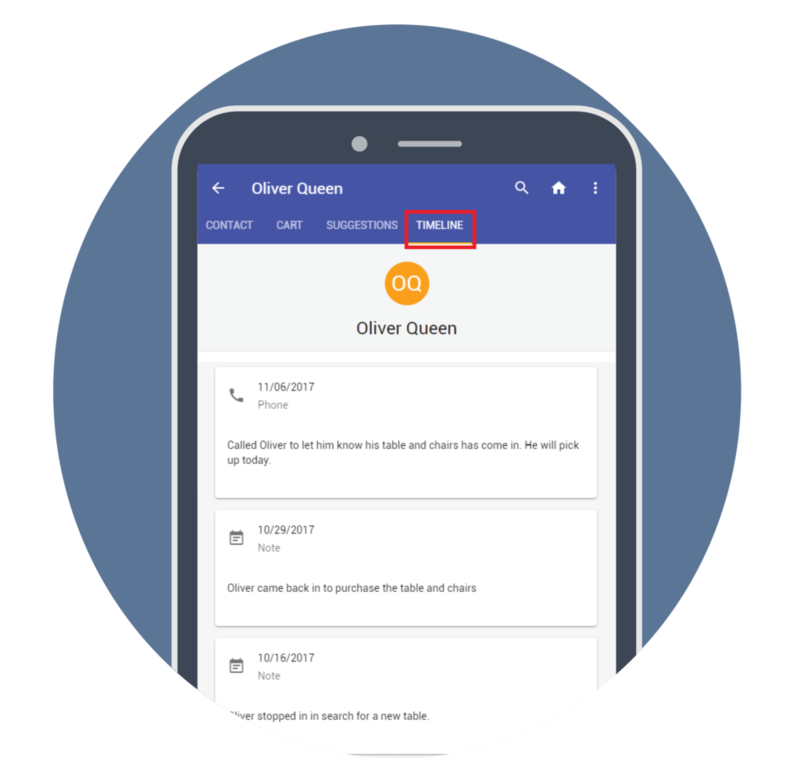 Searching for a customer becomes simpler; the application will find anything that looks like or sounds like the name typed into the search bar. Sales associates will be able to find customer history and notes, and can also edit and save new customer information. encourage them to provide exceptional customer service. 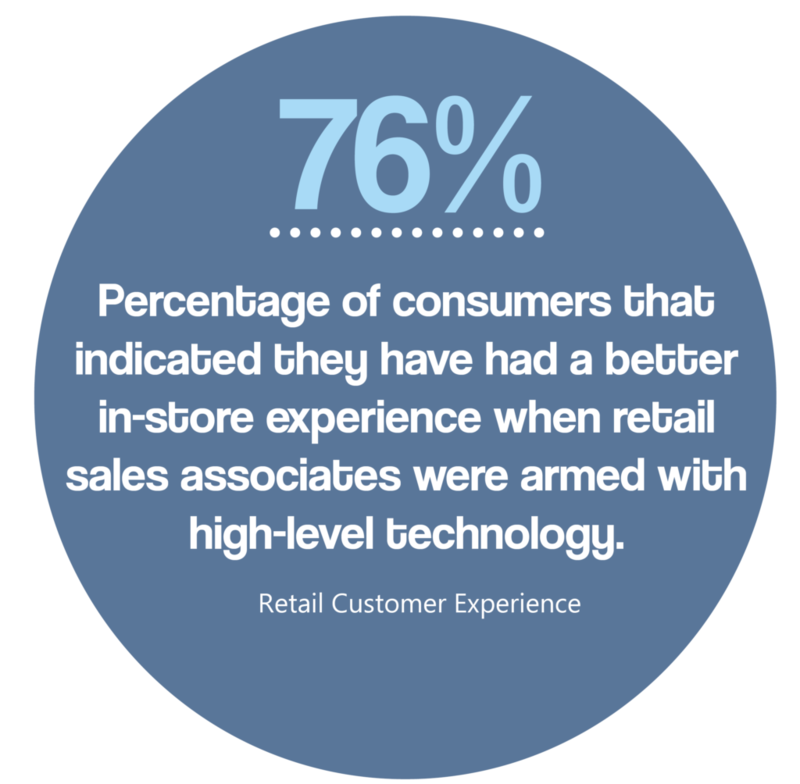 Customer Experience Management puts MORE KNOWLEDGE into a sales associate’s hands. Retailers must continue to invest in new technologies to keep up with the ever-changing consumer shopping behavior. Using modern technology will help sales associates do their jobs better and make a real difference within an organization. In-store CXM applications were developed with a cleaner and sleeker design. 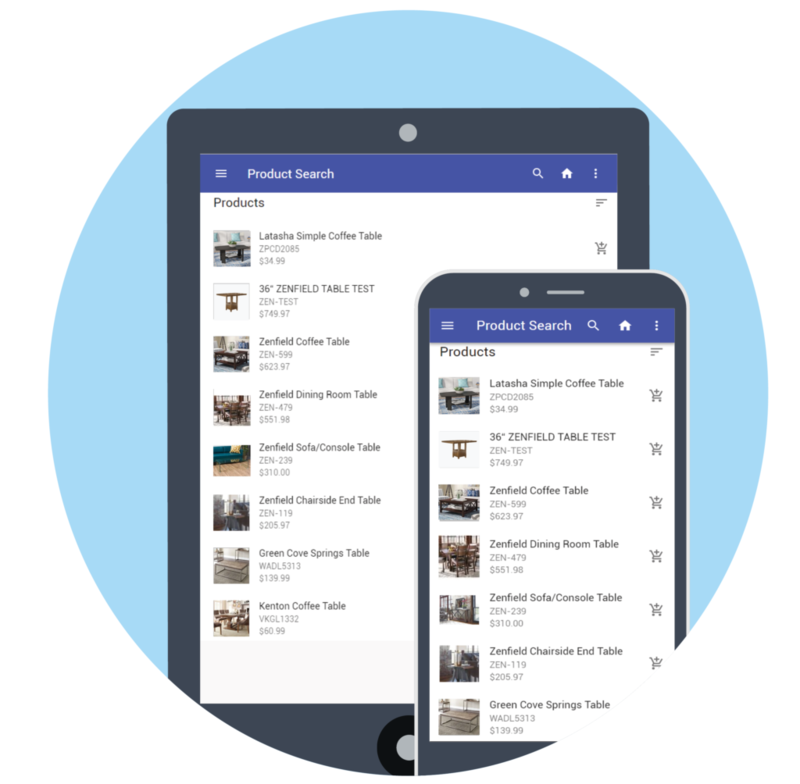 The functionality CXM offers makes it easier to gather product information for a customer, enter new customer information, and create shopping carts. These applications are optimized to simplify job functions, which can strengthen overall performance. With CXM technology, sales associates can rapidly change an automatic filter to search for products. When the associate starts to type in a brand or collection, items will quickly start to become targeted. Just as associates can rapidly filter, these overall customer management applications load at fast speeds. Today, people want fast internet, fast searches, and fast downloads and these applications are developed to surpass customer expectations. Growth is also key for success. Training employees to use in-store technology is an important part of on-boarding new hires. These modern applications can make training a smoother process and help with building skills and confidence. 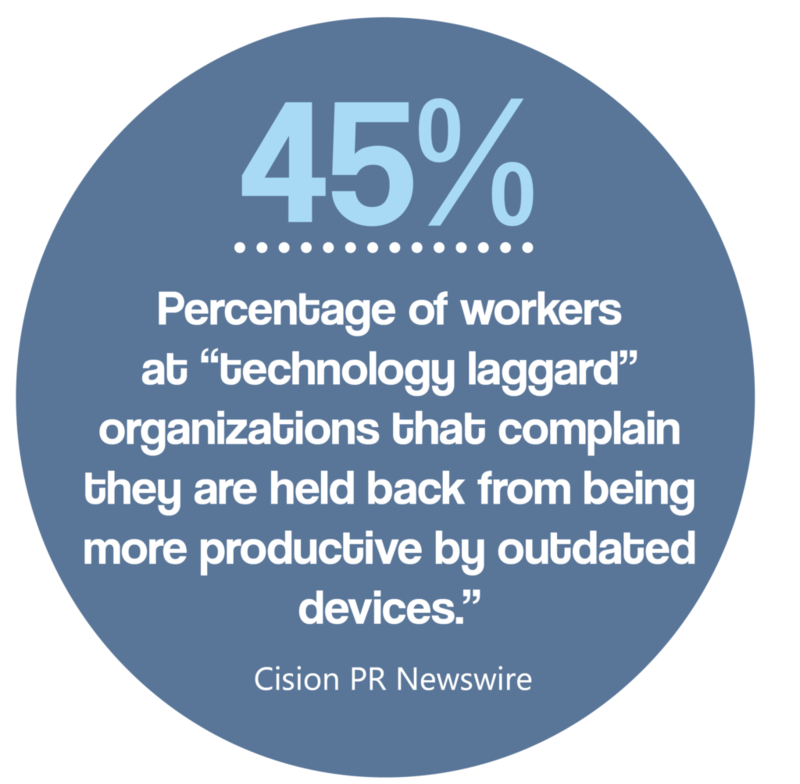 CXM technology helps evolve customer experiences. Sales associates can easily track the activities and interactions they have with consumers and analyze this data over time. This also allows a new sales associate working with a customer to get to know them before having a conversation with them, based on their history. Timeline: This feature allows sales associates to add a note or a follow-up reminder in the CXM application. Over time, a running flow of notes will be compiled. This will help sales associates view what the customer was interested in the past, what they have bought, what type of customer they are, etc. Suggestion: This feature encourages sales associates to offer other products to add to a consumer’s carts. Using algorithms, the tool will suggest related items based on one’s shopping cart. This allows for upselling and ultimately can increase an average order value. eCommerce drives consumer traffic to a retailer’s brick and mortar stores. Customers have already done their research online and created a shopping cart. They come into a store expecting to see, touch, and feel the products in their cart. Integrated shopping carts allow sales associates to log in to the customer’s account and pull up their cart through all in-store technology solutions. STORIS’ Customer Experience Managment application is no exception. STORIS’ new CXM integrates to both STORIS’ Point of Sale and eSTORIS and is able to pull up a customer’s cart as well a retailer’s core inventory details. A sales associate will be able to view product pictures, availability by location, pricing, and promotional details. Technology for the Customer Shopping Journey. Empower Your Team TODAY! As consumer behavior continues to change, retailers must adapt. STORIS’ CXM technology is a fully integrated mobile application offering an abundance of features that help retailers gain a competitive advantage. CXM gives sales associates a tool that will fit in their back pocket and help enhance their job performance. Fill out the form here to discover CXM today.